You’ve heard about cryptocurrency all over the web, but should you invest in bitcoin? Here are the pros and cons you need to know about. Bitcoin is the hottest cryptocurrency today. It became a hot topic when its value rose to near $20,000 per coin in 2017. Since then, it has lost over half of that value, but it may be close to a bull run soon. If you’re familiar with investing, you know how this works. There’s always a risk associated with investments. It may be higher or lower depending on the market. To mitigate the risks, you study about it and then make an informed decision. To help with your decision-making, here are the pros and cons of investing in Bitcoin. In the end, you’ll know – should you invest in Bitcoin or not? News stories offer different views about Bitcoin investing, which might make one conflicted. If you need a reason to invest, keep on reading to see why it’s a good idea. People have been selling cryptocurrencies as the future of money. It offers a fast and safe way to make transactions using the latest technologies. In fact, many people believe that the world will soon complete the transition to this in the future. Today, we now have Bitcoin ATMs and big retailers accepting it as payment for your purchases. It’s only a matter of time before it becomes the equivalent of cash. By then, its value will have increased by a significant amount. For this reason, investing right now in Bitcoin is a good idea. As it’s one of the most popular cryptocurrencies today, it’s likely that it will be one of those that will make the transition. It will only continue to grow, which will bring great results even before the world accepts it in full. Gold is still high in value today, and it losing its value in the near future is improbable. In the digital world, there’s a currency like this: the Bitcoin. 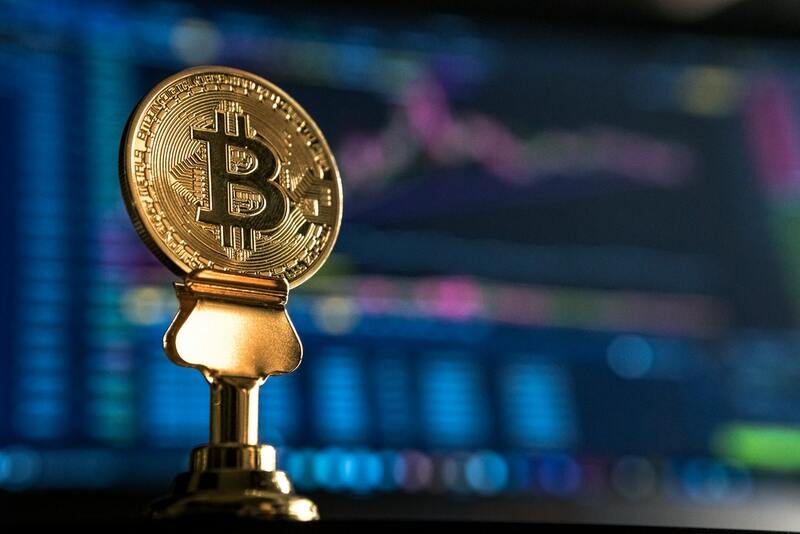 Even if there are other cryptocurrencies and with the perceived threats to the blockchain industry, it’s unlikely that Bitcoin will ever lose its full value. Even Steve Wozniak, the co-founder of Apple, believes that it’s the only pure digital gold. It makes sense because only 21 million Bitcoin will ever go into production. This creates a relative scarcity, like gold. This belief reaffirms the other assumption that Bitcoin will soon grow to be an international currency along with other cryptocurrencies. Although it will sometimes lose some of its value, many believe it will stand the test of time, much like gold. Worried about the possible dangers of transacting with Bitcoins? If you feel confident about using your credit card, you don’t have to worry about using Bitcoins at all. They are safer than credit card transactions. Identity theft, payment fraud, and counterfeit risks are almost non-existent. Furthermore, transactions are anonymous since you would only need your Bitcoin wallet ID. It’s going to be hard to link that to your identity. Of course, transactions are only safe if you do it via reliable platforms, which you should learn more about here. There are still Bitcoin scams out there to look out for. While political unrest is bad for the stock market and the economy in general, it’s the opposite for Bitcoins. It isn’t government-backed, and so what happens with the government doesn’t affect the value of Bitcoin. As it’s resilient against these issues, you might find it to be beneficial to invest now. This is especially recommended if you think there will be more instability for traditional banks in the coming years. On the other hand, there are also valid reasons why you might invest in other ventures or cryptocurrencies instead. Review the following points and see why you should consider other options. Bitcoin, being a digital currency, makes people nervous about its value disappearing. Although we’ve said earlier that it will likely retain its value in the future, there’s still the possibility of it losing its value. If we’re being strict, Bitcoin is only a computer code. Its value only comes from people willing to pay for it. Although the same is true for other forms of currency, Bitcoin doesn’t have anything tangible that underpins its value. What this means is that Bitcoin losing its complete value is still within the realm of possibilities if something unexpected happens. While many establishments Bitcoin as payments, the government itself doesn’t regulate it. The Securities and Exchange Commission (SEC) disapproved a Bitcoin ETF in March 2017. However, the SEC is reviewing this decision and may soon announce the approval of a Bitcoin ETF in 2018. Since 2017, it has been briefing proposals and asking for more public comments about it. The time may soon come for a Bitcoin-based ETF, which is its biggest hurdle right now. Now you know the reasons why or why not should you invest, but the question remains: Should you invest in Bitcoin? Study both sides with care, and read up more on the subject. The next step would then be to learn how to invest in Bitcoin. If you want to learn more about Bitcoin or money in general, feel free to check out our other guides. Here’s one tackling the best stock market careers today.